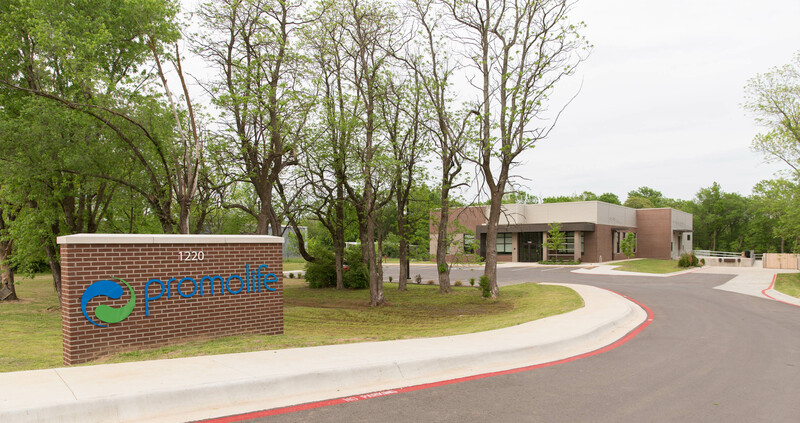 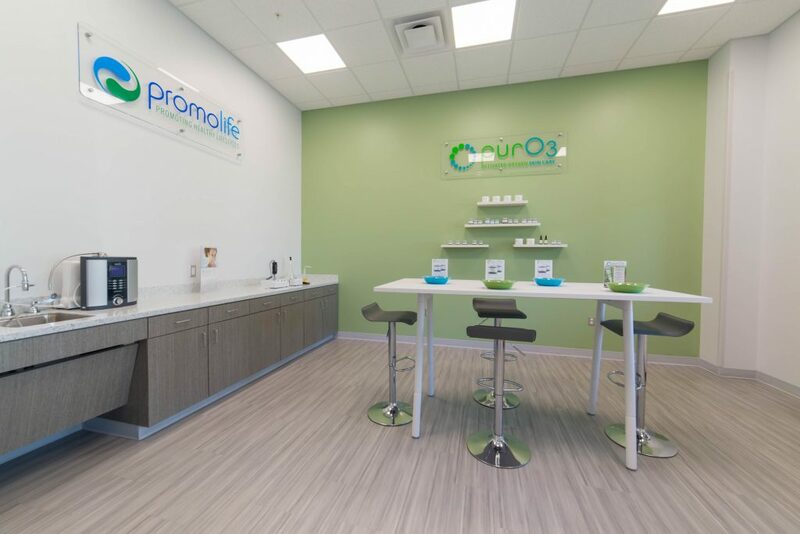 Completed in the Fall of 2017, this single story building of 10,000 square feet is the home of Promolife, a Fayetteville based company specializing in alternative health products. 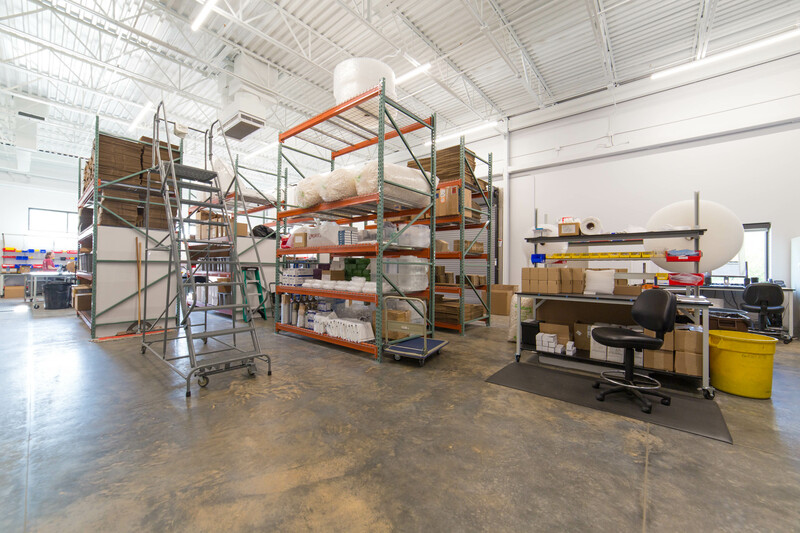 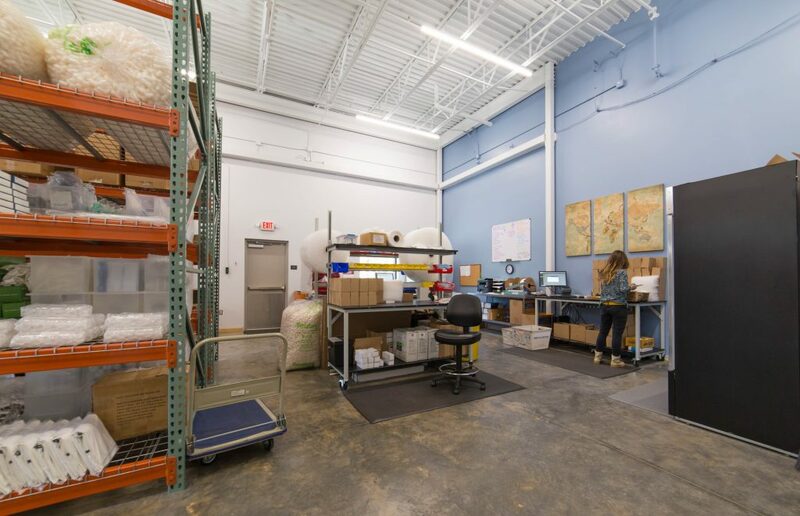 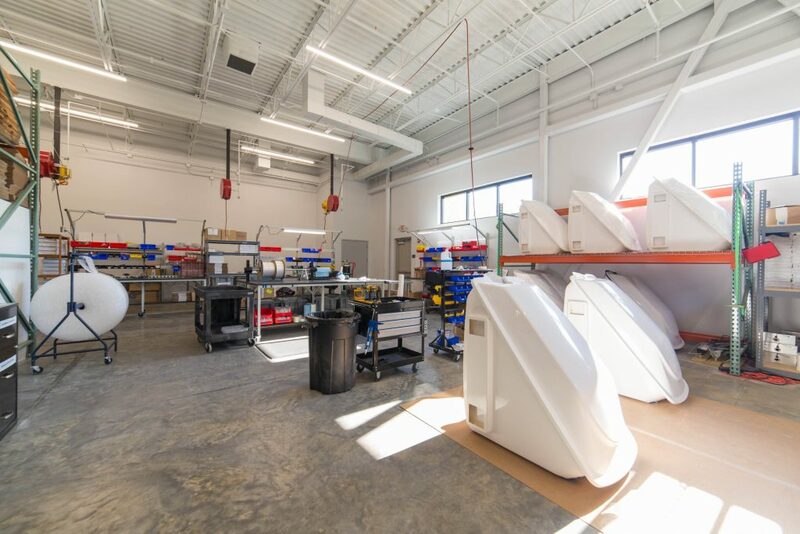 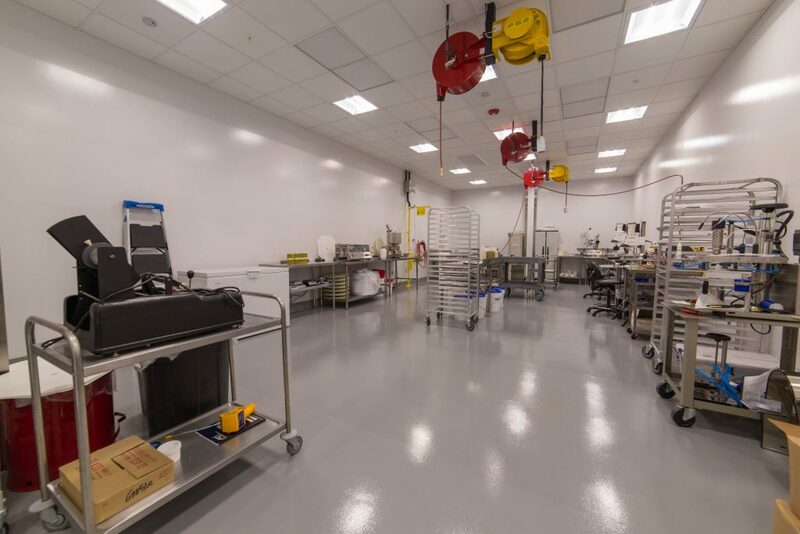 The project consists of executive and open office space, conference/collaboration areas, photo/video studio, manufacturing area, clean room, packaging and warehousing space for the many products that Promolife produces. The site layout of the building was heavily influenced with the desire to preserve as much of the existing trees on site as possible. 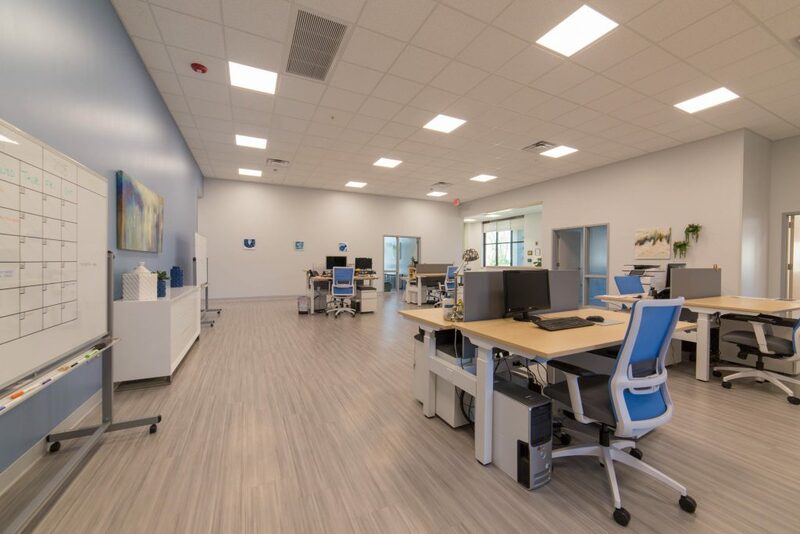 The building features large windows, many of which are also operable, to bring natural light and ventilation into the work spaces. 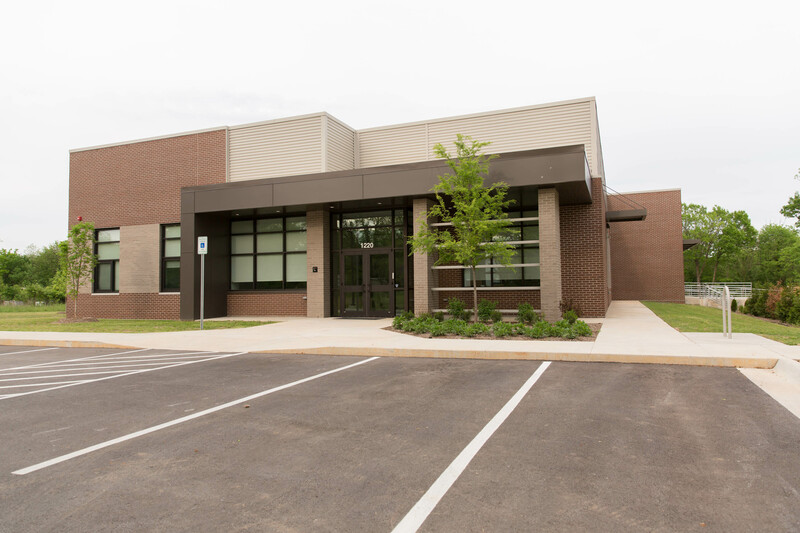 The exterior materials include brick masonry and composite and preformed metal wall panels. Along the south side of the building is a full truck dock that connects to the warehouse area.